Located opposite the old DaCosta Mannings building, and next door to Fisherman’ Pub, on a beautiful and quiet stretch of beach, you can also rent Stand Up Paddle Boards from Paradise Surf School. 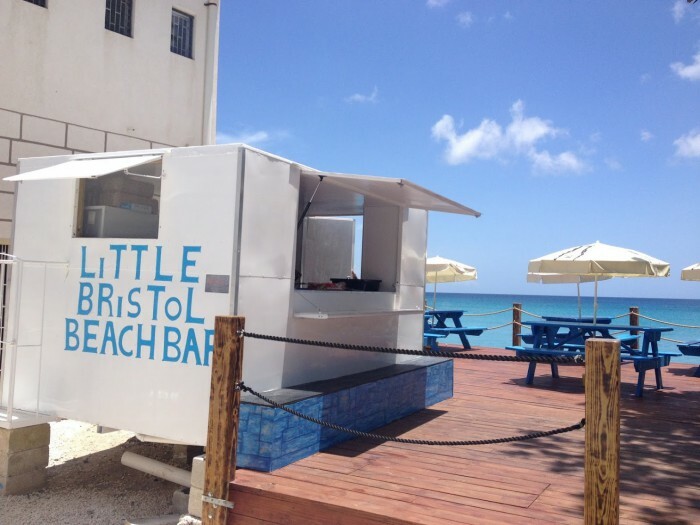 During the Summer Little Bristol Beach Bar will be open Wednesday to Sunday from 10am to 7pm. The “food truck” is ready to serve food from 11am and will be offering gourmet sandwiches, burgers and a light casual menu. Stop by for a coffee, relax on the beach, or end the day with sundown cocktails and maybe catch the Green Flash.